For some people – even top athletes – flexibility is an area of fitness that can be tough to pin down. If you work out every day but can’t touch your toes, it may be time to change your approach to becoming more flexibile. One of the most important rules when trying to boost your flexibility is to remember to go easy. Not everyone is meant to have the same level of flexibility – some of us were never meant to touch our toes to begin with! Just because you’re not as limber as the gymnast or ballerina who can master bendy moves with ease, doesn’t mean you’re an inflexible failure. The important thing is finding the right level of flexibility for your body by easing into it. While trying to boost your flexibility, follow these tips. Remember the days of physical education when all workouts started with a series of static stretches? It turns out that holding stretches before exercising isn’t all that beneficial to the body; in fact, staticly stretching a cold muscle could lead to injury. A far better way to warm up is with dynamic stretching. Before beginning a workout, perform a series of bodyweight movements (think lunges, squats, push-ups, side lunges, jumping jacks). If you perform 20 to 30 reps of three sets of each movement, you’ll warm up your body for the workout to come (and burn calories in the process). Something else to try: myofascial release, also known as foam rolling. Foam rollers are popping up in more and more group exercise classes to aid in general stretching and to help with particularly sensitive areas. Foam rollers work by activating part of a muscle when it’s being rolled back and forth. This causes the muscle to relax and stretch. Foam rollers can also be used for sensitive areas for 10 to 15 seconds at a time by applying static pressure. When you find a spot that feels tender when you roll your body weight over the roller, isolate the sensitive area for 10 to 15 seconds to help the muscle release and relax. It’s time to ditch the idea that stretching needs to be uncomfortable in order for it to be effective. A better strategy: Get comfortable! Relax and ease into your stretches little by little, every day. 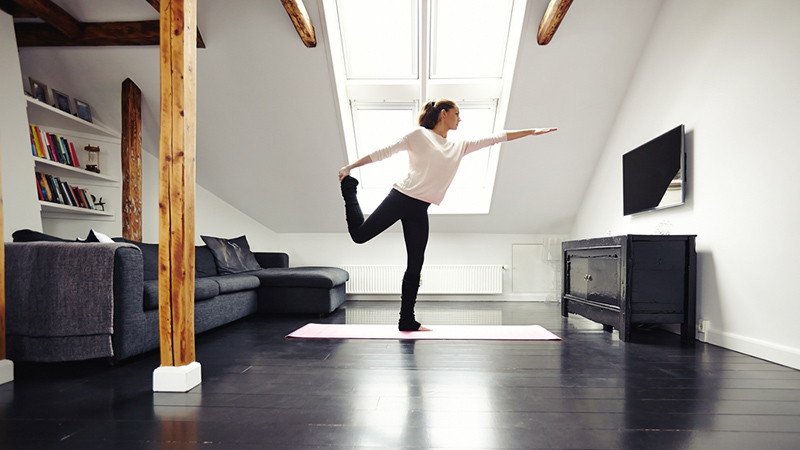 One easy way to do this is to perform simple, easy stretches while watching television. And don’t be afraid to adapt your stretches to your body. If a standing stretch that requires you to balance is too difficult for you, ease into a similar stretch from a seated position. 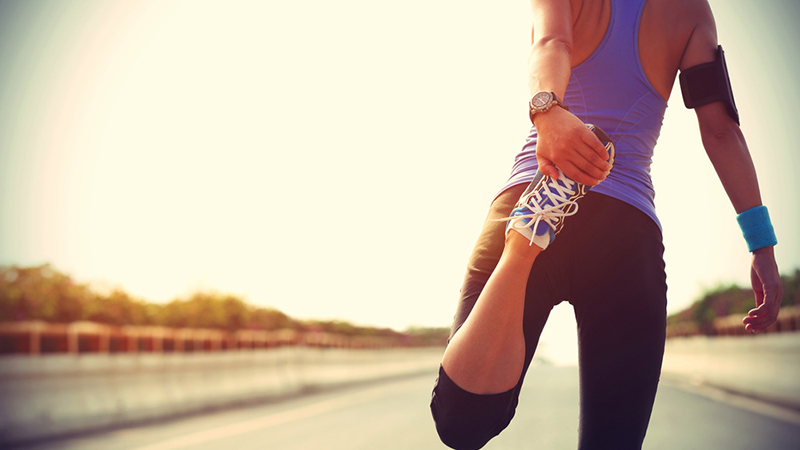 Think of stretching as a way of opening up, rather than forcing your body to do something. Take your time, and ease your way into it. There’s a link between your emotional state and your flexibility. A relaxed body is more responsive to flexibility training. Combine your stretching with relaxation by listening to soothing music, meditating or visualizing. Yoga can help you make a mind-body connection while increasing your flexibility. Yoga’s emphasis on deep breathing can help you ease your body into deeper stretches. Flexibility is one of those things that dwindles without practice, so it’s helpful to set up a three-times-a-week (if not daily) routine. Gentle stretches performed for 20 to 30 minutes each day can help to increase your range of flexibility. Remember: Sometimes the best thing you can do for your body is to go easy on it. No one became more flexible by forcing her body into contorted positions. Keep your mind light and open, and your body will follow. Happy stretching!